There is a range of different objectives you can have when conducting training in your organisation. In most situations, however, your success in achieving those objectives will depend on learners retaining the skills and knowledge you give them. This is why I never stop talking about retention and retention rates. Every part of a training course, including an e-learning course, should promote and improve immediate, medium-term, and long-term retention rates. 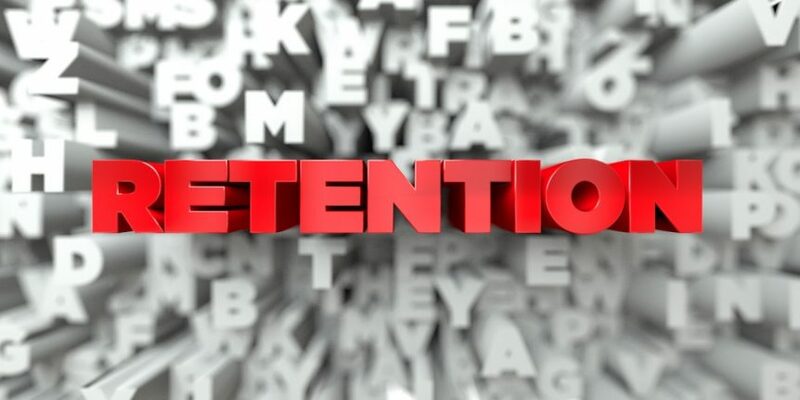 Here are eight ways you can improve retention rates with e-learning. Microlearning is a method of breaking an e-learning course into small, bite-size chunks. Those chunks can be as short as a couple of minutes so they are normally stripped of all superfluous content and focus on a single objective. Microlearning improves retention rates because learners grasp new ideas, concepts, and skills better in small chunks than through long-form learning. Also, learning in frequent but small doses fits in with a learner’s work and personal life better than finding long periods of time to learn. This makes the course more enjoyable which means learners are more engaged and proactive. It is easy to customise certain modules in an e-learning course so you have multiple versions. In other words, the structure and main content stay the same but you have some sections that have slight variations. The main benefit of doing this is that it enables you to customise the course for individual learners. This could mean customising for different skill levels, customising according to job roles, or any other customisation option. When a learner feels the course is relevant to them, they are more likely to engage plus they will learn quicker. Following on from the previous point, scenarios are another way of making learning more relevant to those going through your courses. This is where you put the learner in a theoretical position and then get them to make decisions and/or take actions based on what they have learned. It is like role play activities in classroom-based learning but in a more modernised, effective, and less intimidating (for the learner) form. Scenarios are beneficial because they require the learner to engage with the material by answering questions and making decisions. In other words, they are learning by experience which is one of the best ways to learn. It is easy to add different types of media and content in an e-learning course. This doesn’t just make the course look good – it can also help people learn and it improves retention rates. So long as they are all relevant to the subject matter, you should have as much variety between text, audio, video, animation, infographics, and images as possible. Often, one of the reasons learners don’t understand or retain new information is they think they know more than they do. In other words, they power on through a course without knowing their knowledge is incorrect, incomplete, or both. In an e-learning course, however, you can create elements that test a learner’s knowledge. A quiz is a good example. These can appear frequently and you can make them fun to do by adding gamified elements. You can then use them as a learning tool to provide the learner with immediate feedback on the results. This will tell the learner what they need to work on. Spaced repetition is a method of structuring an e-learning course in a way that the learner constantly reviews learned material as the course progresses. Crucially, the intervals between reviews increase as you go. The repetitive nature of the learning and the gradual way the intervals increase improves knowledge and skill retention. Gamified elements make e-learning courses more engaging and fun to complete. This makes learners more actively engaged in the learning process and improves their motivation levels. The result is better knowledge retention. This one particularly applies if the e-learning course is the only method of delivery, i.e. there is no classroom-based element at all. In this situation, you should take steps to prevent learners from feeling isolated. This is important as isolation can lead to dropouts from the course or situations where the learner simply goes through the motions rather than working hard to grasp the information. There are a number of ways to offer support for learners. For example, you can make it easy to contact a facilitator directly through the course. Another option is to add social elements so learners can get help and support from other learners. To maximise ROI from an e-learning course, you must ensure learners retain the skills and knowledge given to them. The above eight tips will help you achieve this.